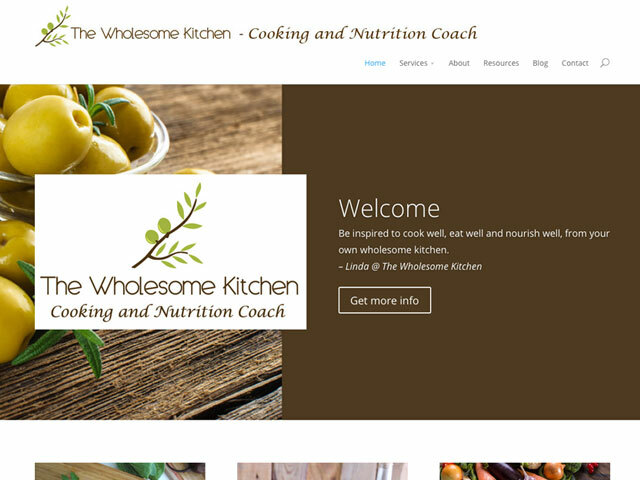 The client is a nutritionist and health coach who needed a logo and website to help promote her cooking classes and heath consulting business. We designed a logo that included an olive branch to help reflect the idea of healthy eating and giving assistance. We designed the website in WordPress so the client could easily update it, and send out blog posts to her audience.